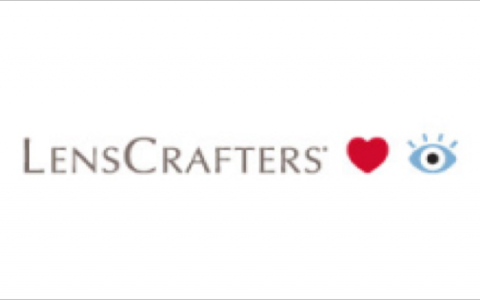 LensCrafters is the world’s largest optical retailer. As the biggest and most innovative player in the market, LensCrafters North America enjoyed years of strong stable growth, with loyal customers, associates and doctors. Despite its powerful history, LensCrafters had suffered a slow and steady decline in customer traffic. As the traffic reduced, pressure was put on the business to find other ways to meet financial targets. The culture was increasingly characterized by uncertainty and fear, and experienced significant executive turnover. While the situation was serious, LensCrafters had the benefit of still being the industry leader, support of a large multinational with a history of investing in brands and a stable of trusted and desirable products to sell. The new President of LensCrafters, Eric Anderson, the new Group President of Retail Optical in Americas, Nicola Brandolese, and the LensCrafters leadership team, recognised that while the business was still profitable, it needed to undergo a significant transformation in order to maintain its dominant position in the market. LensCrafters and TAP engaged in a process to transform the business in three key areas; putting customers and patients at the heart of everything we do, inspiring each other to be our best and raise our standards, and driving the mission through focus and willingness to challenge the status quo. Initially, TAP worked with the executive leadership team to narrow focus and align on the key priorities that would enable transformation. This was followed by realigning the structure, building a scorecard that directly reflected the plan and implementing key leadership symbols. As these early changes took effect, Eric and his team had more time and tools to focus on the 15,000 store associates and millions of customers who walked through the doors of a LensCrafters store every year. The most critical conduit between the executive leadership team and the associates was the team of Zone Vice Presidents, who were responsible for leading the stores. Through the restructuring of this group of leaders, a much stronger focus on the associates, customers and patients was successfully implemented. This focus was further reinforced when all managers had their goals and variable compensation realigned to the new strategy. Underpinning all of the strategy and alignment work was a very disciplined and comprehensive leadership transformation agenda. Lead by an unwavering personal focus from Eric and his team, senior leaders embraced coaching, the methodical use of leadership scorecards, and the integration of agreed behavioural standards into all interactions. The leading and lagging indicators of performance tell a very compelling story of transformation across all aspects of the business, in just over 2 years. 360 degree measurement of leadership effectiveness evidenced a significant positive shift across the whole senior leadership group. Both customer advocacy and employee engagement increased with improvements of 21 points and 20 points respectively. LensCrafters also experienced a positive shift in other leading business indicators such as eye exams, which improved over 9%, and engagement with Onesight, Luxottica’s charitable foundation. The key outcomes of customer count, conversion, and traffic are all up after 8 years of steady decline. Ultimately the business achieved 8 quarters of positive comparative sales results, an outcome at one point thought to be impossible. Amazingly, all of these results were produced in the most challenging US retail environment for decades. “TAP have enabled us to cut through our confusion and align to what truly matters. After a sustained period of difficultly for our business, we achieved eight consecutive quarters of positive comparative sales. We also achieved significant gains in our customer Net Promoter Score and Associate Satisfaction Score. The best management practices TAP introduced are now standard practice in our organization. Along the way, we’ve also become better leaders. The TAP team was always available; they’re smart, challenged our thinking and behaved very consistently with their espoused standards. Ron has that rare blend of strategy and client service. He made a lasting impact on our leadership team that will transcend work and benefit them in their personal lives. Peter is ‘a practical visionary’. He has determined exactly how to transform organizations, leveraging empirically-proven models and an extensive track record of success.